The weather was perfect. One of those days that still carries the warmth of summer but hints at the crisp coolness of fall. The sun shone through the leaves, illuminating the hues of red and yellow that were just beginning to color the forest with the sure signs of an impending autumn. We pulled off the gravel forestry road at the familiar spot, pulled out the bikes and donned shoes and helmets and gloves. 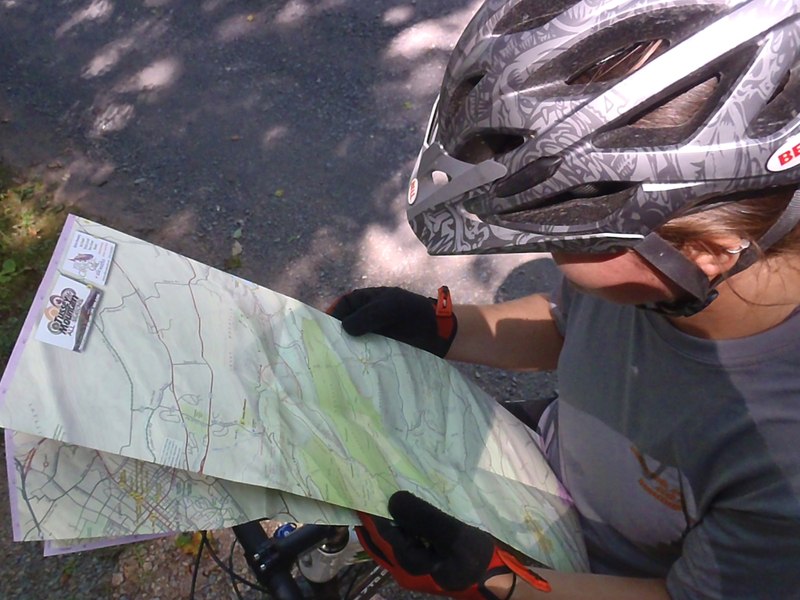 We debated over where to go, which new routes to try. Finally, a decision was made and we were rolling over trails I hadn’t seen since last winter, since snow flurries and fat tires were the norm, since my life was full of classes and days spent at a desk and since I barely knew the man with whom I now share all of this. 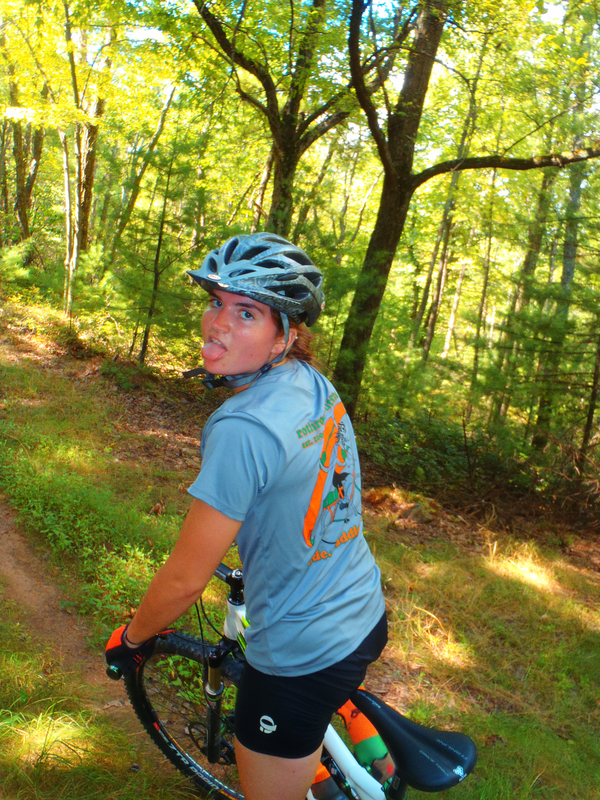 Soon, we found ourselves on the new-to-us Dutch Alvin Trail, whose flowing twists and turns were reminiscent of the Allegrippis, a change from the rocky, technical riding that Rothrock State Forest usually offers. 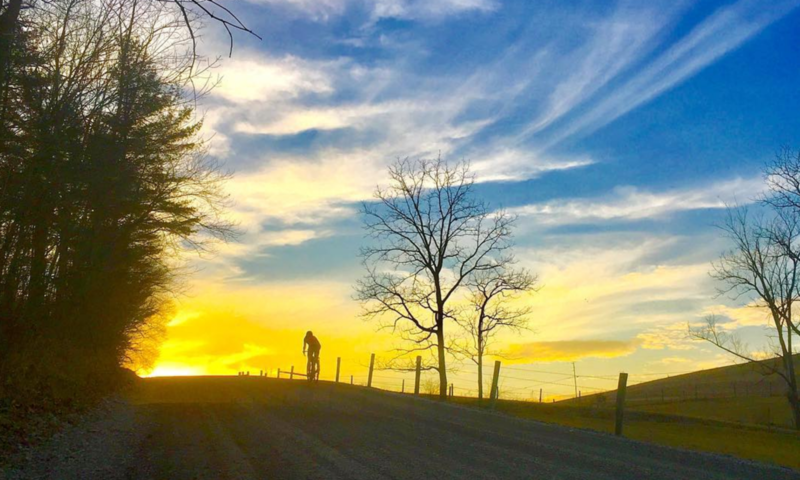 I wound back and forth through the trees, coasting on the slight downhill, a smile plastered on my face, Evan dancing on the pedals in front of me, the wind wicking the sweat off my back. We emerged onto the road and pedaled side-by-side on the asphalt for a while, talking, laughing, just enjoying the day. 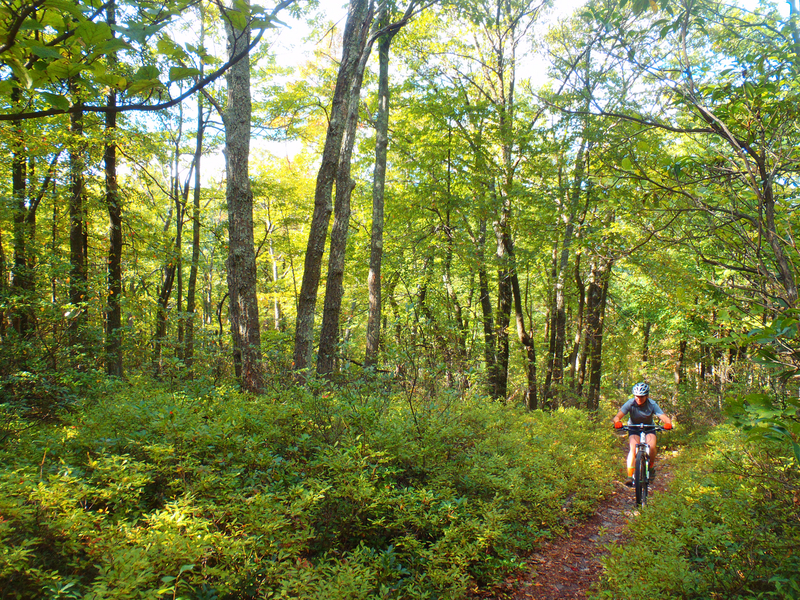 At Penn Roosevelt State Park, we began the climb up Grass Mountain on a slightly-overgrown dirt road, gradually ascending before turning back onto the singletrack of Long Mountain Trail. And then we really went up. The trail was steep, so steep I ended up walking most of it, and even then, my legs still burned. After what seemed like forever, the trail finally flattened and then began to descend again, through the understory of mountain laurel, emerging onto a powerline cut. We found a spot in the shade, sat on a log, and munched on KIND bars while gazing off into the distance at the mountains and valleys and the road below. 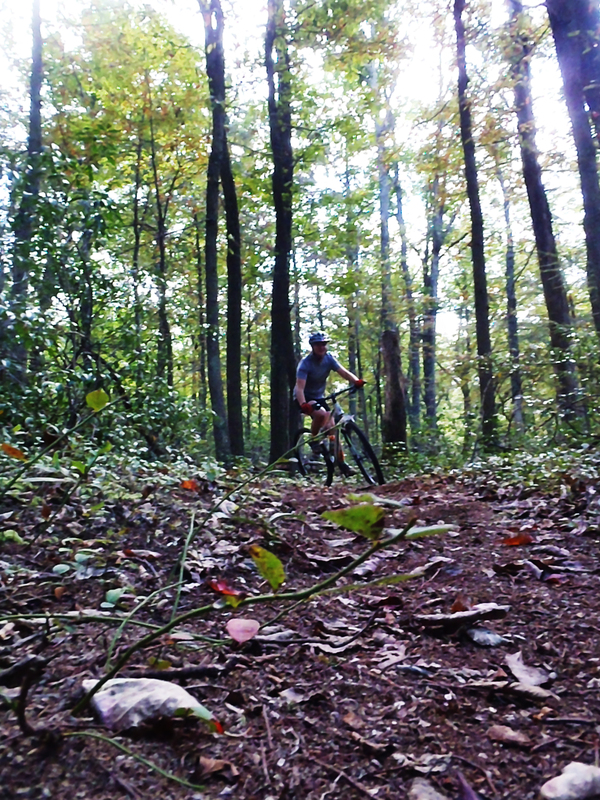 Back on the bikes, we began the long descent that made the steep climb worth it, flying down a moss-covered trail that felt like velvet beneath the tires. Occasional ruts and rocks and mud puddles kept us on our toes, and my hands and arms quickly grew tired from the bumping and jarring and continuous braking. At the bottom of the mountain, back on the road, we shook out the cramps in our hands and exchanged exclamations of excitement and joy at the fun we had just experienced. We pedaled back towards the car, taking a slightly different route. Exhausted, I struggled to make it up the rocky climbs. But soon, the top of another mountain was reached, and it was all downhill to the car. We drove home into the sun that was quickly sinking lower in the sky, filled with the tired satisfaction that comes with a great ride and a wonderful day. Doggin’ it uphill at the end of the ride. 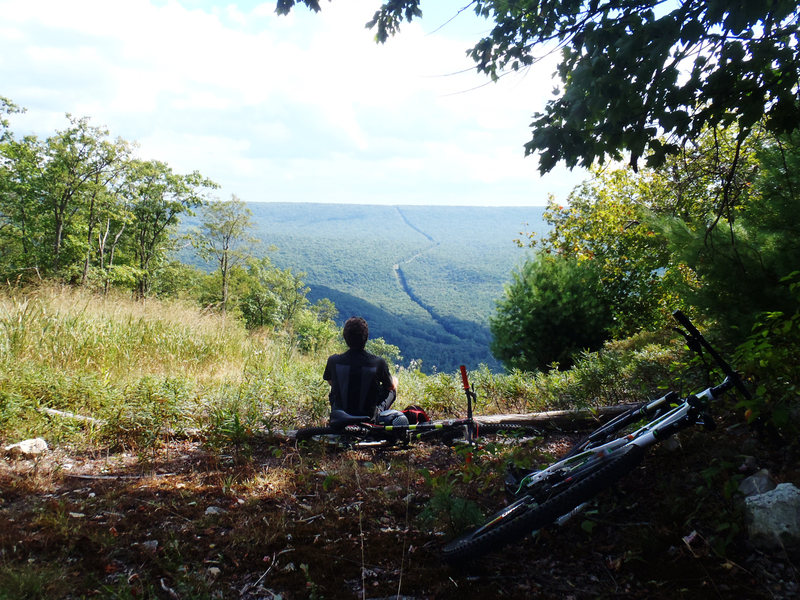 This is in Rothrock State Forest, near State College, Pennsylvania. Next PostNext The last day of summer.